People with combination skin can experience a lot of confusion when it comes to picking out a perfect product. 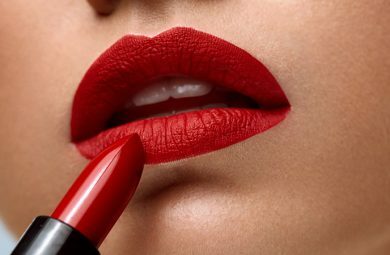 You might be wondering what to look for, what type of formula works best, if there any specific application tips to follow, and how to combine the seemingly impossible areas of dryness and oiliness into a cohesive canvas for the rest of your makeup? Some parts of the face shine brighter than the sun, some parts are drier than the Sahara, and this makes the situation seem hopeless, helpless, and (gasp) foundationless! 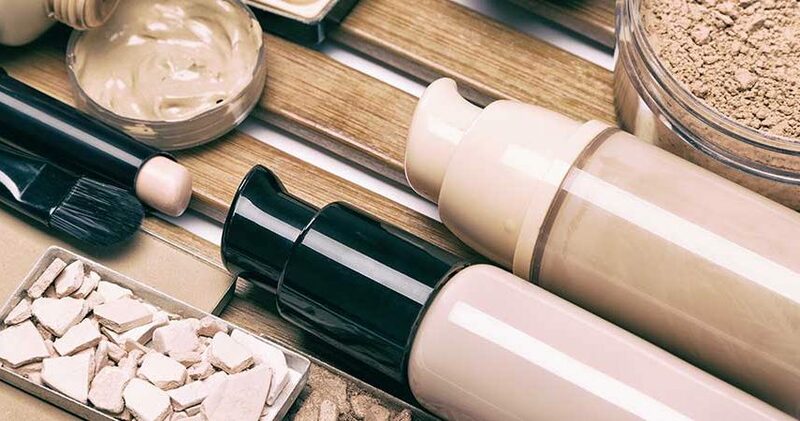 Have no fear, there are many options when it comes to foundation for combination skin. 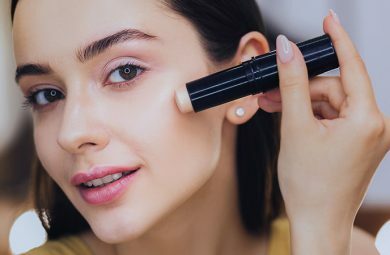 There are a lot of fantastic foundations on the market that work wonders with combination skin and manage to tackle the various issues one may have with this skin type. We’ll go over the types of foundation for combination skin you need to look for, how to apply it, and more. Let’s get started! When combination skin is considered, you need to think about both dry and oily patches of skin. Therefore, choosing a perfect foundation can be a bit of a challenge, but it is not impossible. Let’s start with the formula. You need something that will hydrate your dry areas, usually cheeks, and not saturate the oily T-zone and make it shinier. When searching for your correct match, look for an oil-free formula, which will help the T-zone, and look for a hydrating foundation for your dry patches. As for coverage, look for a buildable foundation instead of full coverage. This will allow you to focus your attention on the areas that need a little more love than the rest of the face, and will help reduce the oiliness. Look for a slightly matte finish in a liquid foundation, but don’t go too crazy with this! You don’t want your dry areas to look flakey. Of course, you can always have dewy skin even with your combination type, but don’t opt for a shimmery finish; you can get that effect with highlighters and other products. 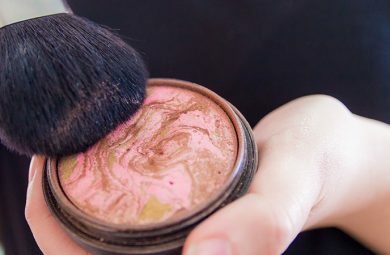 If your oily areas are prone to breakouts and acne, try to find a non-comedogenic formula foundation and use that instead of your regular one. Non-comedogenic formulas will fight bacteria and keep your pores clean. Of course, these formulas tend to lean to the drier side, so make sure to use moisturizer and primer on drier areas. This formula will work if your skin is sensitive on top of the combination part. Now, a million-dollar question: should you go for powder or liquid foundation? In theory, both make sense. The powder will help with the oiliness, reduce the shine, and control oil production. Liquid foundation will help with dry areas and hydrate the skin without making it look flakey and powdery. But what happens when you have both these issues? Should you use two different foundation formulas? Summon the demons to find you a perfect match? Luckily, the situation is not as dire as it sounds. A good rule is to use a liquid foundation to help dry areas look their best. Your dry cheeks need some love, and taking care of oiliness or blotting during the day is way more comfortable than dealing with dry skin all day. Go for a medium coverage foundation instead of full coverage. Full coverage foundations tend to be too heavy, which is not good for dry or oily patches. You can always build it up in areas where you need a bit more coverage. Cream foundations are also a good choice. However, they are atrocious on oily skin, so you would have to use a lot of powder in your T-zone to even things out. If you can, stick with a liquid foundation. When applying foundation for combination skin, remember to prime well. Use a moisturizer and let your skin soak it up completely before applying your primer. You should also use serums before going to bed so your skin is ready in the morning for your makeup routine. Before applying your foundation, find a good primer that will work with combination skin. This will even out your problem areas and allow the foundation to sit correctly on your face. Then, apply your foundation. 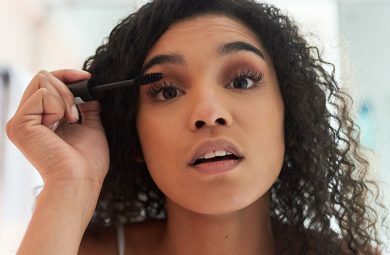 It’s best to use a beauty sponge to blend it out, but if you prefer brushes, opt for a kabuki brush that will allow you to blend the foundation better than an oval brush. Since you are using a medium coverage foundation, apply more on the spots that need it, and apply concealer as needed too. Afterwards, finish everything with a setting powder. Apply it only to your oily areas and skip the dry patches. Throughout the day, apply more powder to the T-zone, or use blotting paper to soak up any excess oil. When the day is over, make sure to remove all the makeup from your face and go through your usual beauty routine, and of course, apply a nightly serum to nourish your skin while you sleep. If you are using hyaluronic acid serum, wash it off in the morning. And do not forget to apply sunscreen every day!